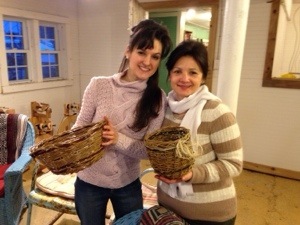 People attending Wild Earth’s recent 3-class basketry workshop series, held at White Barn Farm Sheep and Wool shop, have described the process of creating a basket in many ways. Meditative, challenging, connective, addicting, grounding, fun, enlightening and even frustrating all came up as descriptions. 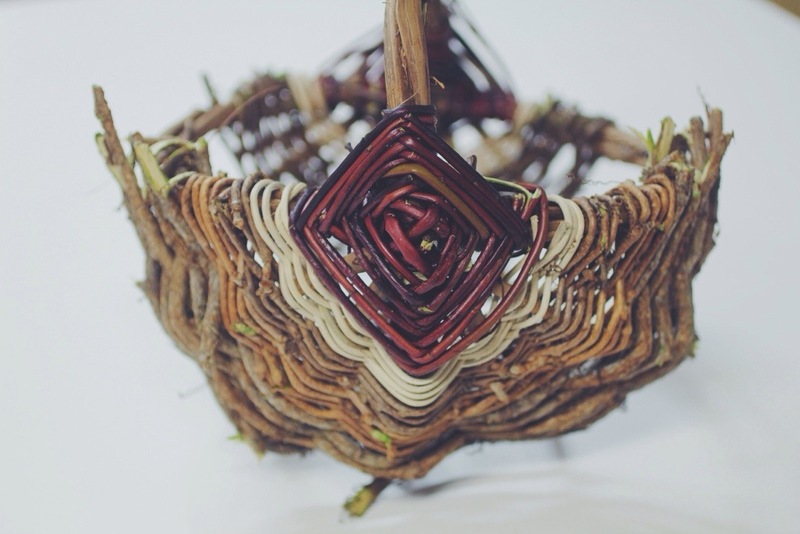 I love asking each student what it is that drew them to making baskets in the first place and listening as they convey what it means to them to be creating a vessel with their hands. 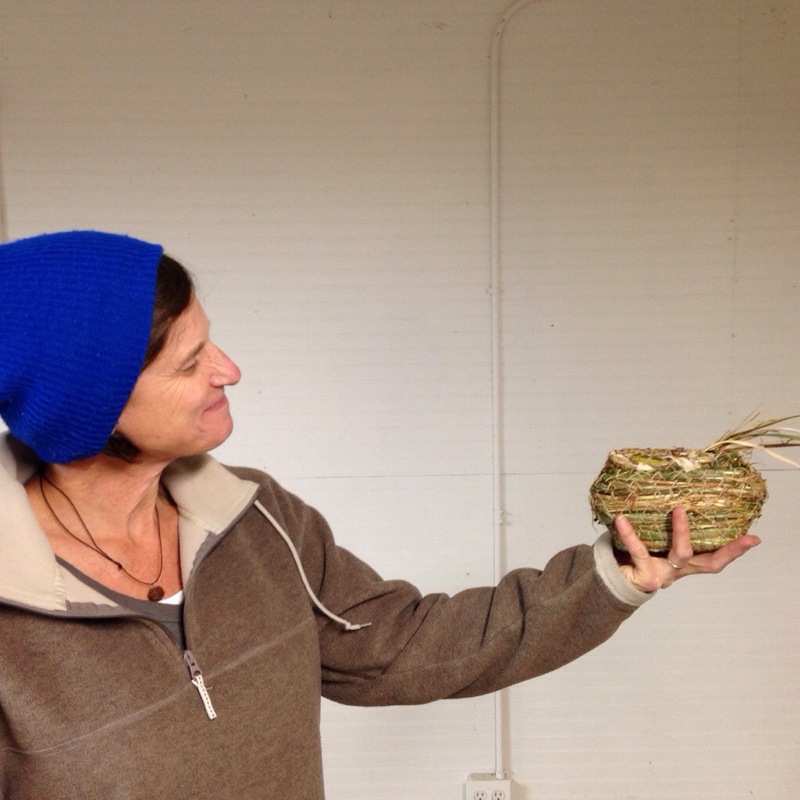 The answers range from a love of working with one’s hands, wanting to learn about natural materials, to exploring the meaning of a basket as a metaphor. 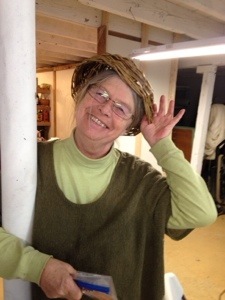 Very often the quality that people cite as most intriguing to them has to do with the connective qualities of creating a basket. Weaving materials in an out of each other is grounding. It connects us to ourselves as we react to the challenge of learning a new skill. It connects us to each other as we gather in a group to be creative together. It connects us to nature as we learn how to identify and harvest local plants. Lastly it connects us to our ancestry; basketry is an ancient skill practiced in different forms all over the world. 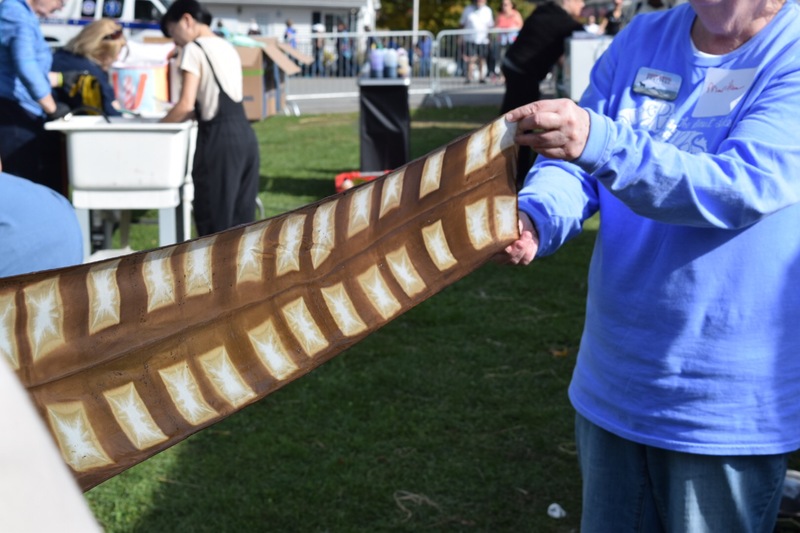 Below are photos and information from each of the three workshops– Coiling Basketry, Wild Woven Vines, and Twining with Willow and Dogwood. Enjoy! 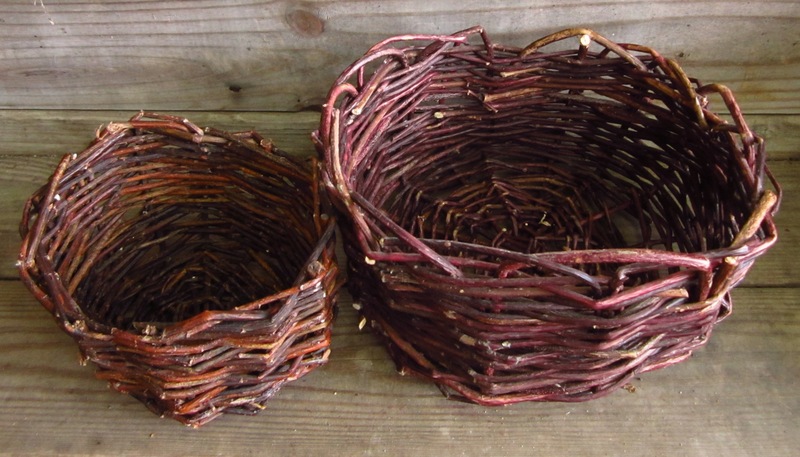 One of the best parts about creating coiled baskets is the accessibility of the materials. I tell students that no matter what environment they are surrounded by there is no doubt material for making coiled baskets nearby. 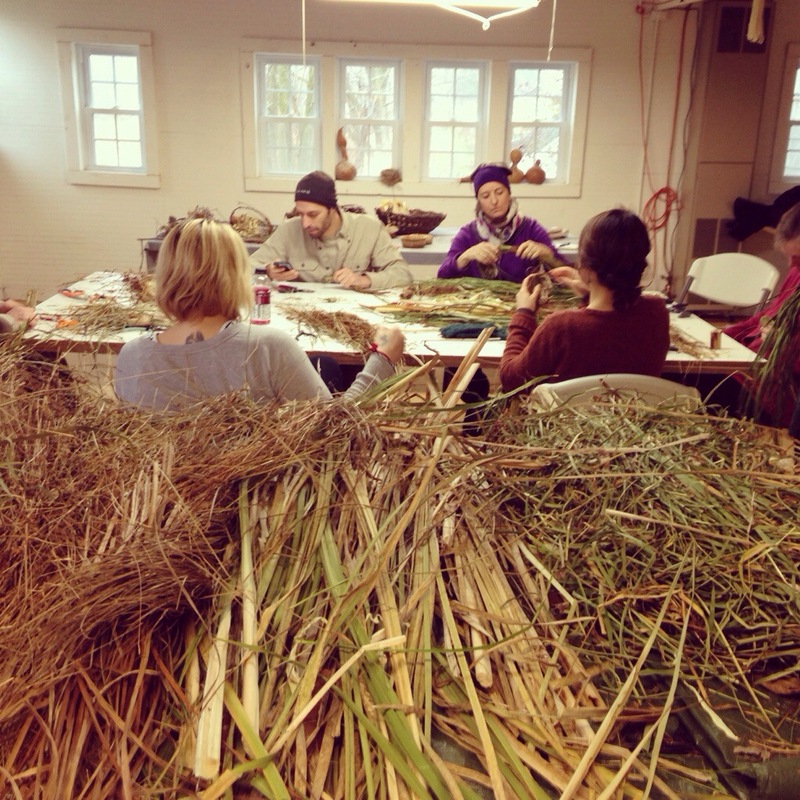 Grasses of all sizes and colors, sedges, cattails, iris leaves, daylily leaves, yucca, and pine needles are all fair game for experimenting with. 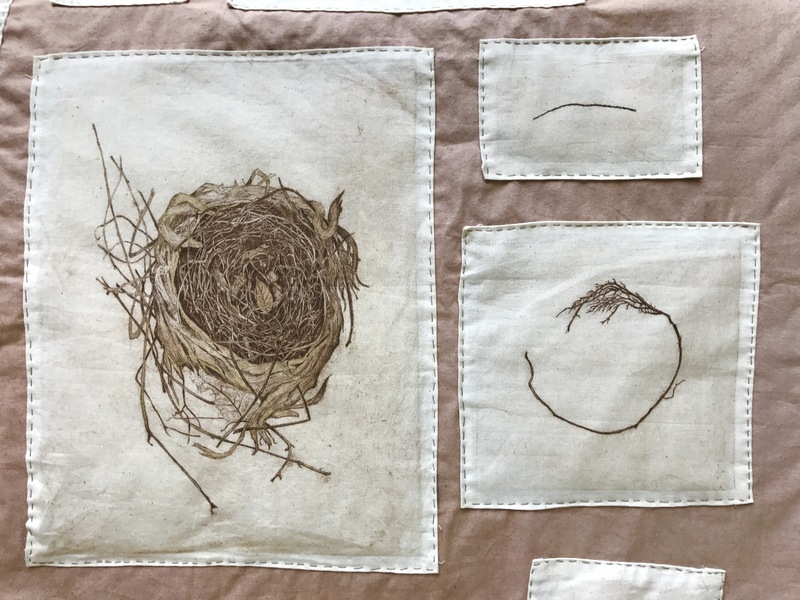 Perhaps the most meditative of the three techniques we covered in the series, coiling is created by making a small circle and then spiraling outward, sewing each successive layer to the one before it. It is truly an endless technique; you can start with a small circle and build outward infinitely, creating a vessel of any size. 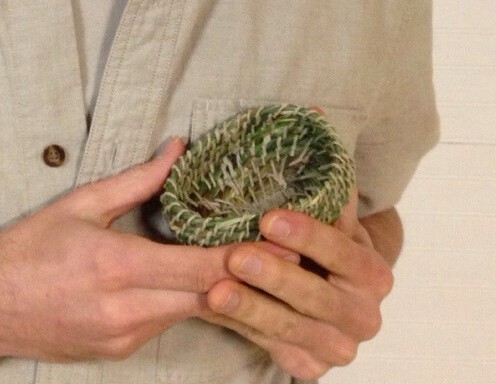 Weaving with vines is indeed a wild process. It is at times fun and repetitive at other times challenging! It is key to listen to the materials and work slowly— if you try to force vines to bend quickly then they are apt to crack. 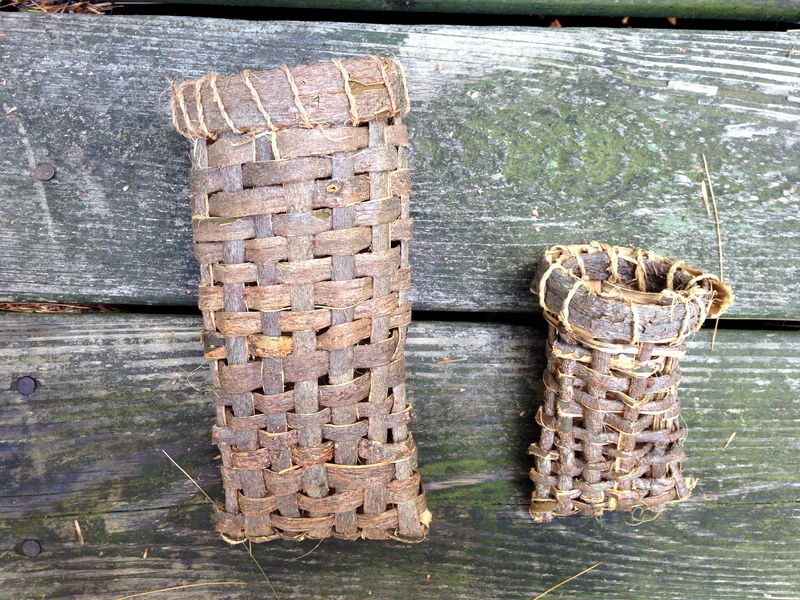 Creating a wild woven basket with vines is one of my favorite ways to spend a warm autumn afternoon. 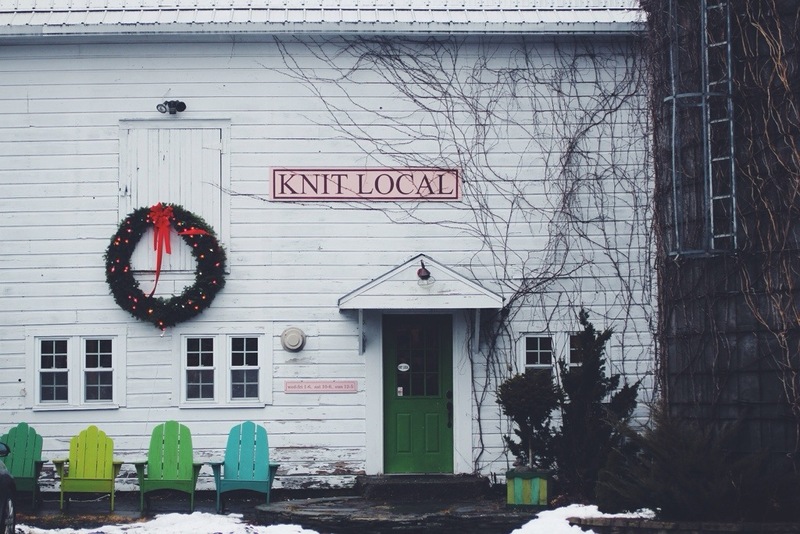 There is no more peaceful and humbling way to spend that time than wandering the landscape, collecting vines, and weaving a basket as you go. 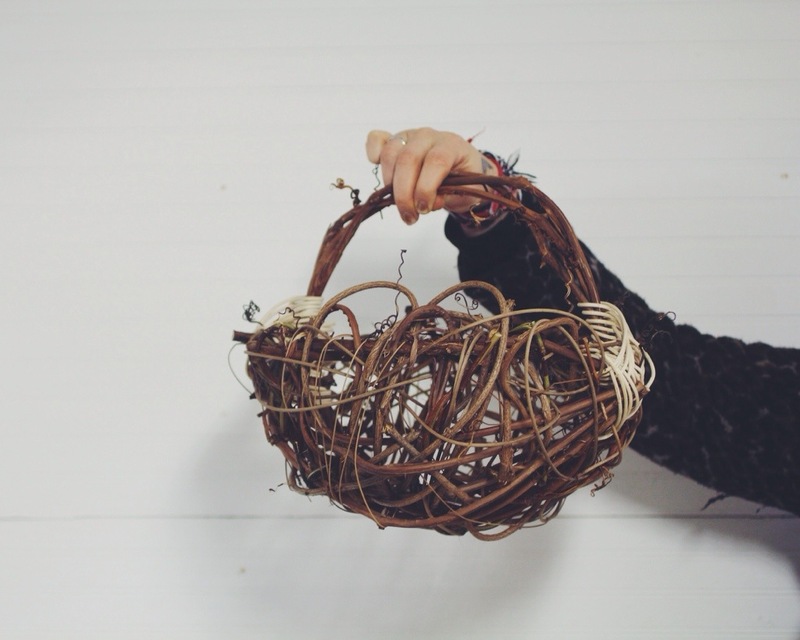 If your goal is to make a tightly woven basket then it is always advisable to let your materials dry completely so that they shrink and then re-soak them just before making the basket. 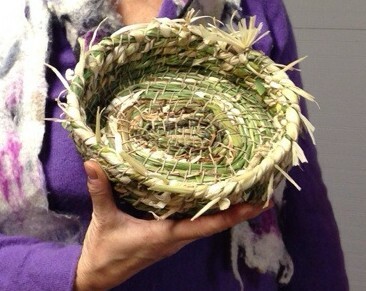 However when making a basket in a wild woven style with fresh vines it is not necessary to make a perfect piece. You can always go back in and fill in any loose spots later, after the basket dries. 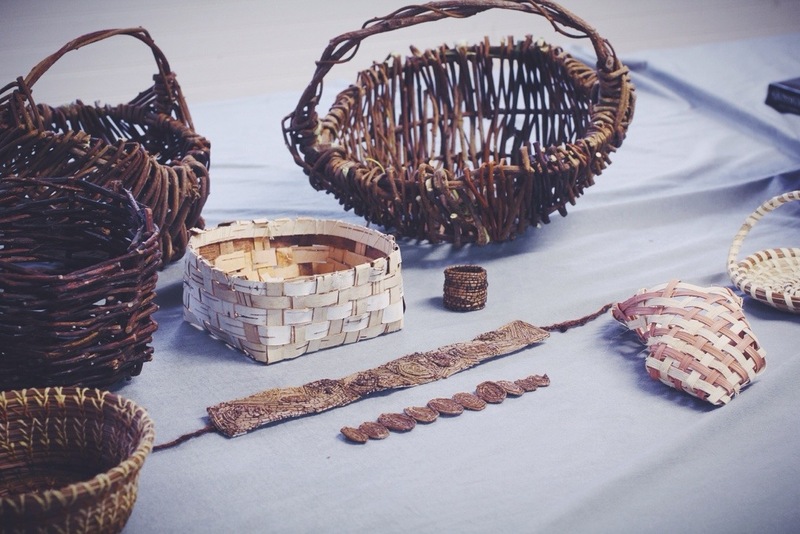 Creating a one-day basket with fresh materials is as much about the experience of being outside and working your hands as it is making a finished product. In the northeastern states, grapevines, bittersweet, virginia creeper, honeysuckle, wisteria, and ground ivy are wild vines you can find in abundance. 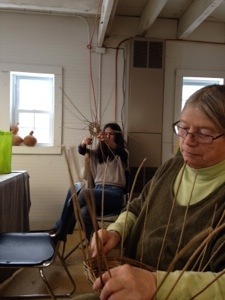 In our December class we also used Red Osier dogwood shoots to add a beautiful red accent to the baskets. 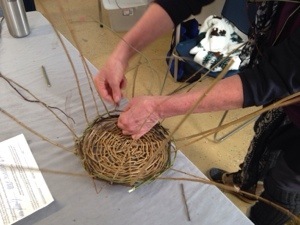 Once you have become acquainted with using Red Osier dogwood and willow in your basket making practice it is impossible to driving through the northeastern fields and forests without spotting batches on the roadsides everyone. The beautiful red 1st year’s growth of Red Osier is especially unmistakable. 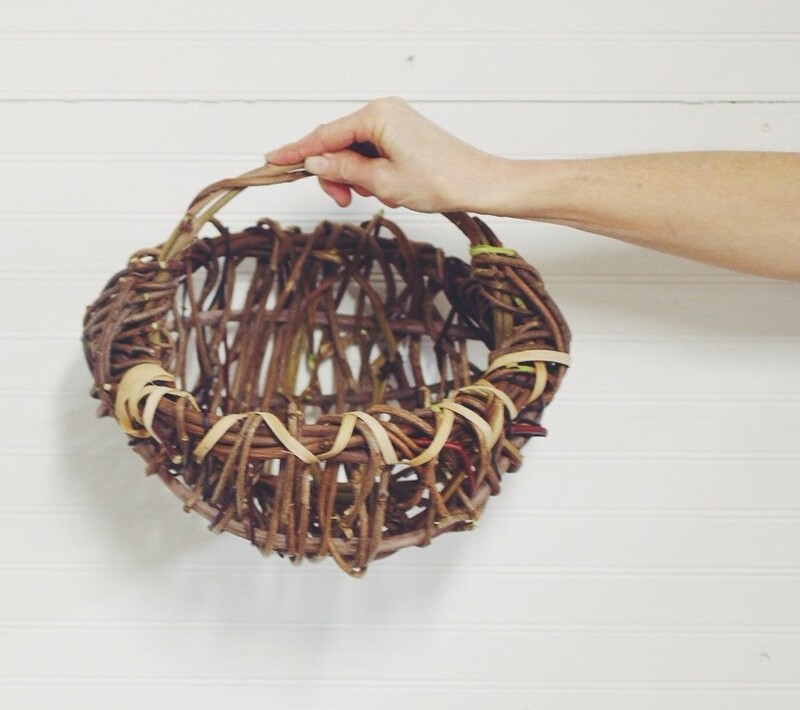 Twining with these materials is a great way to make sturdy, long-lasting baskets. 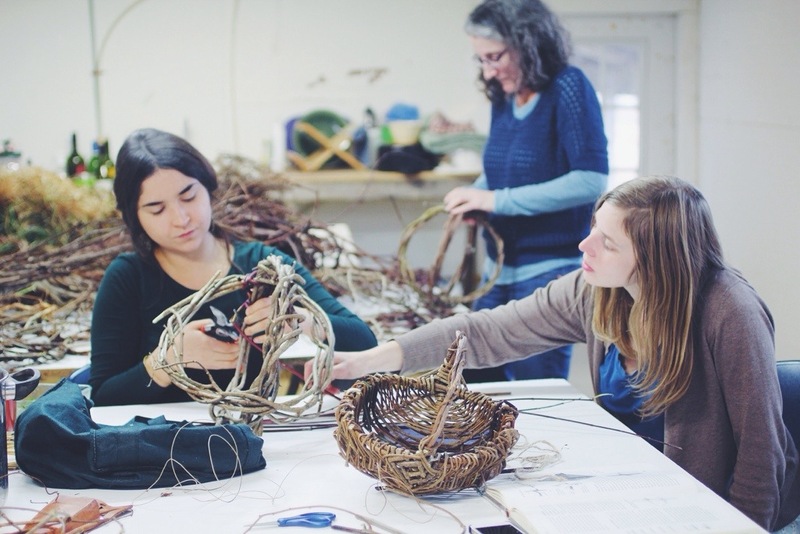 In our January class students used willow, red osier, and even some de-thorned multiflora rose stems to make baskets that each had a unique design. In this class especially I was so impressed with how each person’s basket turned out to have a completely unique shape and pattern. Personalities truly shine through in this technique. previous post: Celebrate Stinging Nettles: A Recipe for Nettle Dye!